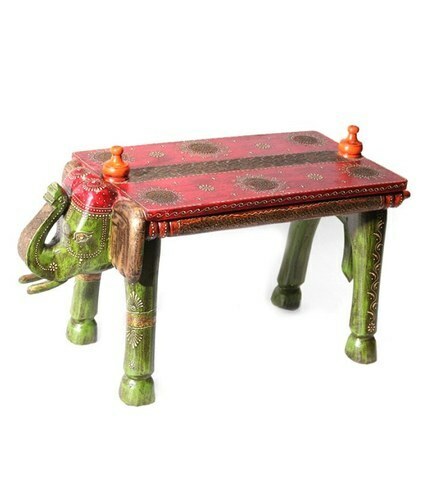 Leading Exporter of vaah wooden elephant box, vaah wooden elephant stool, vaah wooden chess table, vaah wooden elephant bench, vaah decorative painted wooden chowki and wooden boxes with metal work from New Delhi. 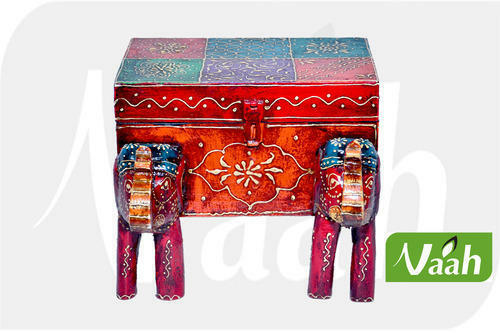 We are instrumental in offering optimum quality Wooden Elephant Box to our valuable customers. For the purpose of crafting these antique boxes in adherence the prevailing fashion trends, the advanced and sophisticated tools are used. These boxes undergo various quality assurance checks conducted at our state-of-the-art in-house quality testing unit, for ensuring a flawless range. 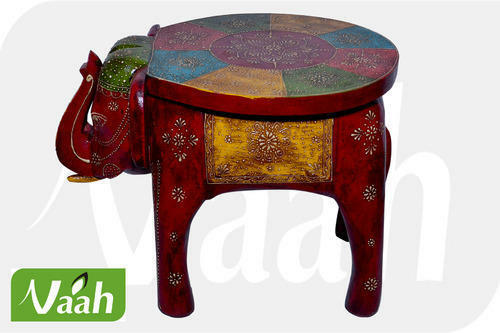 We are one of the topmost manufacturers and exporters of optimum quality Wooden Elephant Stool. Manufactured from finest quality wood, these wooden elephant stools are known for their elegant design, perfect finish and durability. Our craftsmen craft these stools in compliance with the latest market trends by using advanced tools. 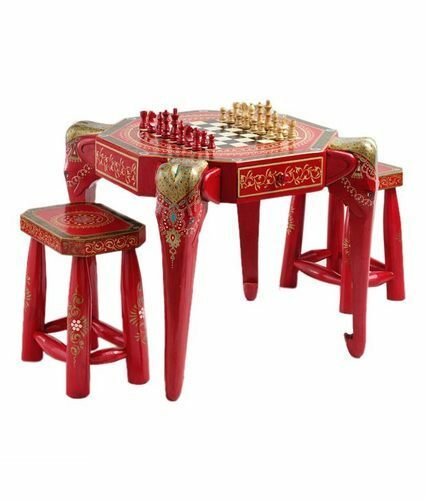 Available in sizes of 9",12",15" & 18"
Owing to our rich experience of this domain, we have been able to offer optimum quality Wooden Chess Table to our valuable customers. These tables are highly appreciated for their impeccable finish, lightweight, elegant design and eye-catching appearance. The tables offered by us are available with us in bulk quantities owing to our large production capacity. 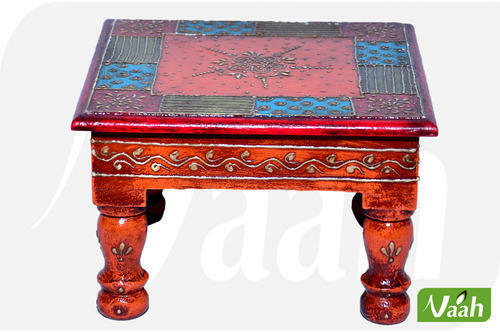 We are instrumental in offering optimum quality Wooden Chowki to our valuable customers. 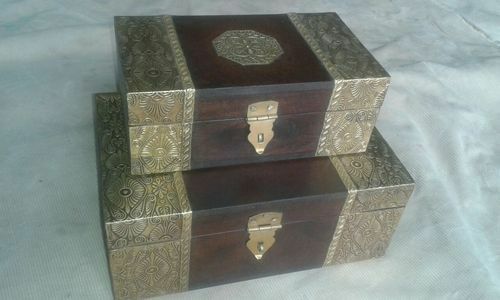 For the purpose of crafting these antique boxes in adherence the prevailing fashion trends, the advanced and sophisticated tools are used. These boxes undergo various quality assurance checks conducted at our state-of-the-art in-house quality testing unit, for ensuring a flawless range. Owing to our rich experience of this domain, we have been able to offer optimum quality Wooden Boxes to our valuable customers. These tables are highly appreciated for their impeccable finish, lightweight, elegant design and eye-catching appearance. The tables offered by us are available with us in bulk quantities owing to our large production capacity. Looking for “Hand Crafted Wood furniture”?